Eliia graduated from Physiotherapy BSc studies in University of Tartu in 2008. Followed MSc studies in Sports and Exercise Psychology graduated at Jyäskylä University (Jyäskylä, Finland) in 2012. Eliia has gained work experience as a physiotherapist from working with disabled children and conducting musculoskeleta training sessions. In addition, Eliia has participated in multiple K-taping and Fitball training sessions. 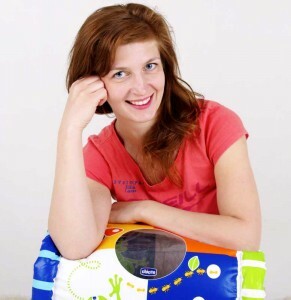 Monika (at the moment on maternity leave) has graduated from Physiotherapy Studies MSc in University of Tartu in 2011. At the moment she is continuing her studies as a doctoral student in Sports Sciences in University of Tartu. Monika has work experience with all age groups and different diagnoses, however her expertise lies in working with children. Monika has participated in multiple training sessionss and courses related to pediatric physiotherapy, as well as kinesiotaping courses. Johanna graduated her physiotherapy studies from Tartu Health Care College in 2011. Johanna mainly has experience in working with adults who have various diagnosis and also conducts group training sessions for patients with musculoskeletal problems. In addition, she has participated in K-taping, Mulligan and manual training courses.